Why settle with sterile VCAs in your mix or instrument bus duties now that the Successor is available? Traditionally bus compression has been taken care of by VCA style devices, based on ICs, which are wholly unrelated to the warmth, fatness and the character associated with discrete Class A technology, including chunky transformers and diode bridge-based gain reduction. A fully Carnhill transformer coupled input and output unit, the new Successor is a true stereo diode-bridge based bus compressor with advanced sidechain filtering and built-in parallel processing capabilities, sharing the class A ´73 type output stage that Heritage Audio is famous for. Based on legendary vintage diode bridge designs, it keeps the sonic character of such units, but the added features make it a new beast on its own and will make your mixes shine in modern production environments. Ultra-fast attack and releases allow for larger than life drum bus compression sounds, while the complex sidechain filter lets you tailor your mix in ways not previously available. From FET like, all-buttons-in drum sounds (now in stereo!) to VCA style mix bus with added warmth and fatness only transformers can bring, the Heritage Audio Successor is designed to stay hooked up to your mix bus and make your mixes shine through. “Now vocals stand out in the mix without being overwhelming or mudding out your guitars or other instruments”. • True Stereo operation on single controls with matched gain cells for extremely precise left/right tracking and nearly zero offset in between channels. Compression tracking works in Oxford mode (highest signal takes over compression opposed to summing left and right channels). • Carnhill based, transformer coupled balanced inputs and outputs for added character and vintage vibe. 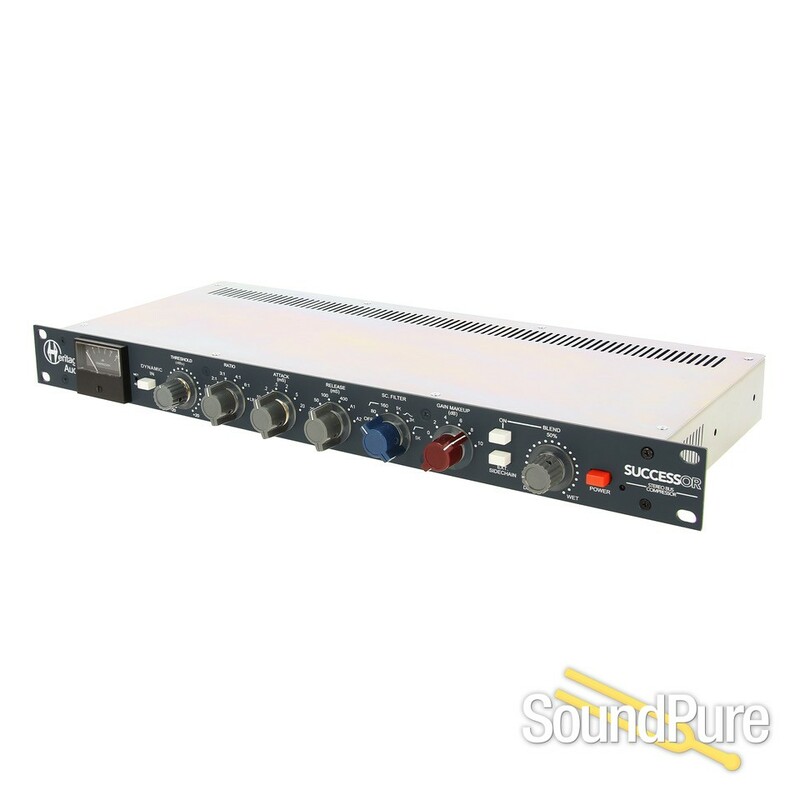 • ´73 style class A output stages bring the desired ´73 sound to your mix or drum buses. • Diode-bridge based compression excels in bringing 2nd order harmonic distortion characteristics and true vintage tone while eliminating nasty odd harmonic content. • Ultra-fast attack and release time options never found in vintage designs allows for far more flexible settings, including FET like sounds and volume maximizing without transient artifacts. 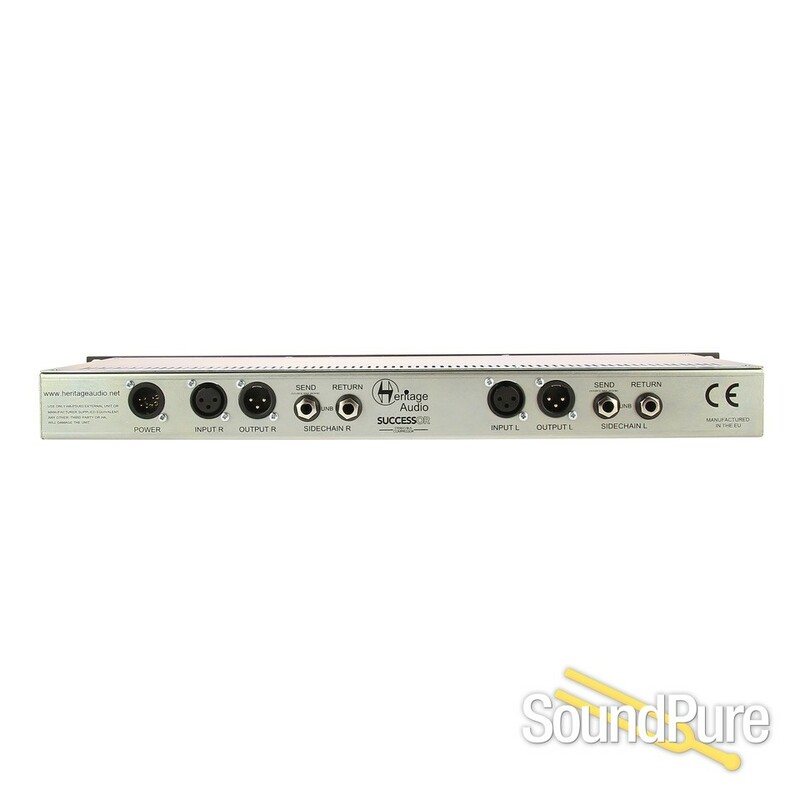 • Complex sidechain filtering options work with the already common high pass filters, introducing mid band peak type filters and high-frequency compression, allowing bus correction not possible before. • Sidechain SEND and RETURN connections allow for external sidechain signals or further external processing of the internal one. 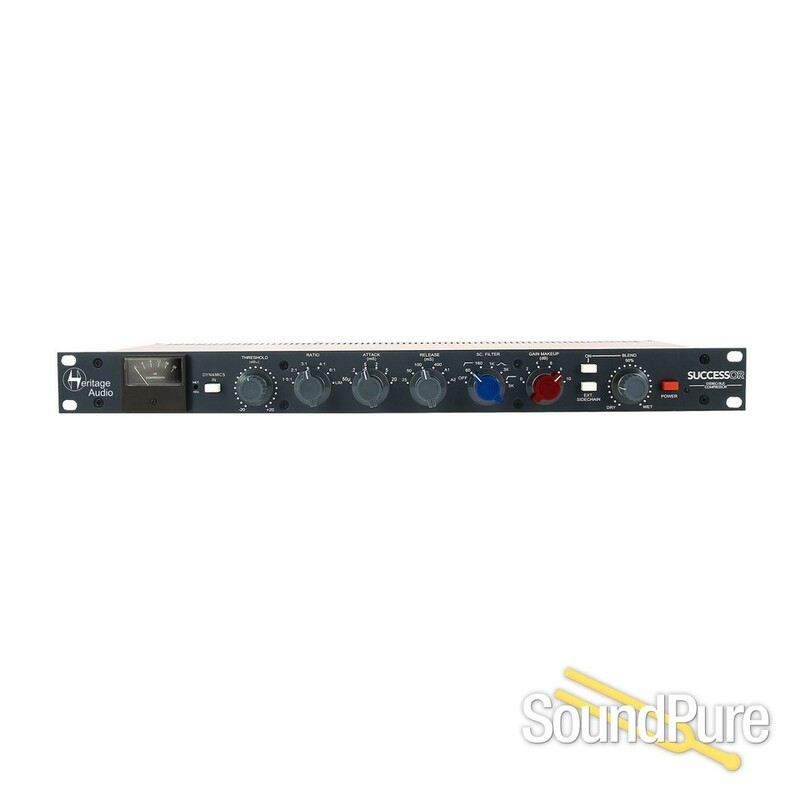 • Blend control offers built-in parallel compression without any external equipment. Blend ON/OFF button allows for instant comparison in between WET and DRY signals. • Stepped controls for easy recall of settings. Ships Quick! Usually ships 3-5 business days after order processed.